According to Chinese website MyDrivers, Apple’s next-generation iPhone 7 Plus may include a 256GB storage option and a larger 3,100 mAh battery. 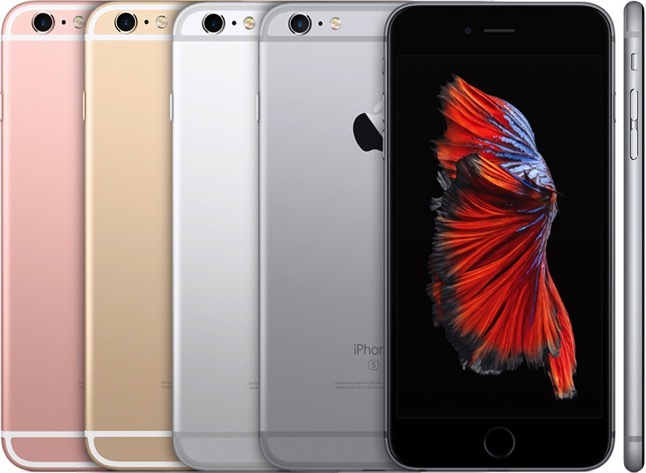 Both of these features will be marketed as the two differentiating features over the smaller iPhone 7. The report doesn’t mention if the iPhone 7 Plus will still be available in a 16GB option, or if Apple will opt for larger storage options, for instance starting at 32GB. The claimed 3,100 mAh battery would be approximately 12.7% larger than the iPhone 6s Plus’s 2,750 mAh battery, but the rumour is questionable following reports claiming the iPhone 7 and iPhone 7 Plus will be nearly as thin as the new iPod touch. The report also supports the previous rumours claiming the iPhone 7 and iPhone 7 Plus will retain 4.7-inch and 5.5-inch screen sizes respectively, but does not offer any other new details about the smartphones. Chinese website MyDrivers has a mixed track record at reporting on Apple’s upcoming product plans, so this rumour should be treated with caution until or unless other reports substantiate these claims. Apple may remove the 3.5mm headphone jack on the iPhone 7 and iPhone 7 Plus in favour of an all-in-one Lightning connector, possibly helping the smartphones achieve between 6.0mm and 6.5mm thinness and a waterproof design. The devices may also have a faster TSMC-built A10 chip, Intel 7360 LTE modem, and non-metallic casing with hidden antenna bands.